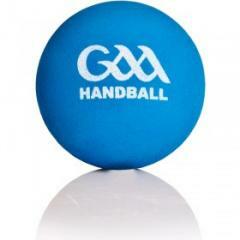 Some excellent qualifier matches were played at St Brigids handball facilities on Saturday 31st March. The juvenile handball pre-qualifiers are in general held in groups of four and matches took place all over the country at a total of 16 venues. The winners of each group of 4 go forward to the final qualifiers which will take place in Kingscourt on the weekend of the 14/15th April. The final overall winners in each age group become part of Team Ireland for the World Championships to be held in Minneapolis (USA) in August. St Brigids hosted players from Carlow, Wexford and Tyrone and saw an excellent series of games as the players showed a high standard of skill and excellent sportsmanship throughout. The results mean that Jack Darcy has qualified for the finals weekend and Ciaran McNally for the Plate event that weekend.